Former Cuban president Fidel Castro dies at age 90. Former Cuban president Fidel Castro died on Friday at age 90. 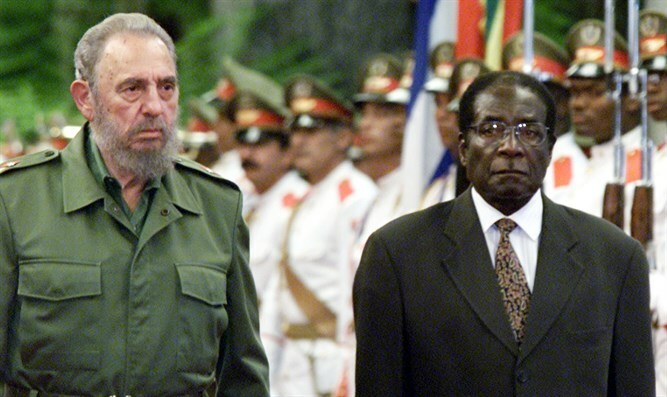 His death was reported by Castro's brother and successor Raúl Castro, who took control in 2008. "I say to the people of Cuba, with profound pain I come here to inform our people, our friends of America and the world, that today, 25 November, 2016, at 10:29 pm, died the chief commander of the Cuban revolution, Fidel Castro Ruz," Raúl Castro said. Fidel Castro, a dictator who took control at age 32 and ruled for half a century, led Cuba's Communist revolution, winning a surprising victory and leading Cuba to Russian-style communism. Castro claimed Israel's Mossad was the driving force behind ISIS, as well as that Arizona Senator John McCain was "Israel's most unconditional ally." He also said Operation Protective Edge was "a disgusting form of fascism." Fidel Castro also signed a manifesto "supporting Palestine" and demanding Israel withdraw from "the West Bank, Gaza, and East Jerusalem." When Yasser Arafat visited Cuba, he was received by Castro with all the honors usually accorded to countries' leaders. Communist Cuba broke their relations with Israel after the Yom Kippur War in 1973. The US broke off relations and attempted to overthrow Castro in 1961, but Barack Obama changed that policy, visiting Cuba in 2014 and having his picture taken with a large wall painting of Che Guevara behind him. In concentrations of Cuban refugees in the USA, expatriates took to the streets to celebrate the death of the dictator who suppressed dissent and freedom of speech.